You are here because you recognize the value in having a certified and experienced AdWords professional help with your online marketing. ☑ List of 5-20 researched keywords for ONE ad group. ☑ Two text ads written to maximize your traffic from these keywords. ☑ My "Google AdWords Best Practices Guide" which discusses the most important account settings for successful search campaigns. ☞ For an extra $40 I will set up the campaign for you in your AdWords account. This campaign will include TWO ad groups (5-20 keywords & two text ads per ad group). I will need your Customer ID to request account access. ☞ Additional ad groups will be $20 for every TWO ad groups. This gig extra can be purchased with or without the campaign setup extra. 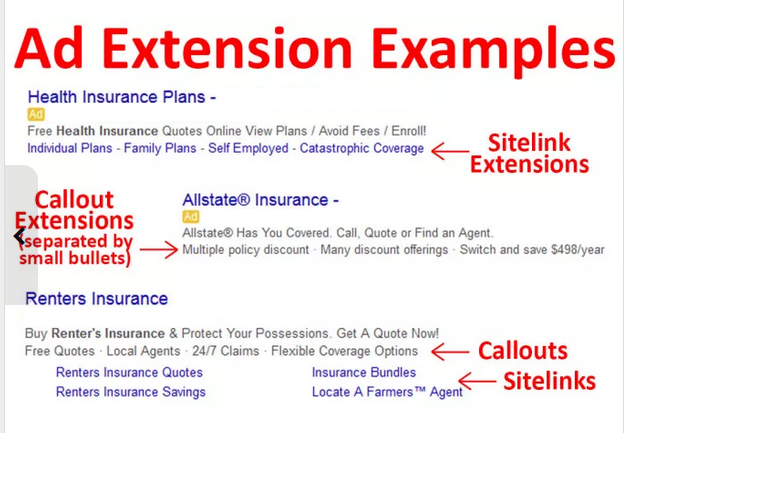 ☞ Sitelink Extensions & Callout Extensions help your ads stand out. For these to show, your ad must be in a top position. Google won't always display these extensions with your ads.